100% natural Husse Laxolja is produced from fresh salmon in Norway. 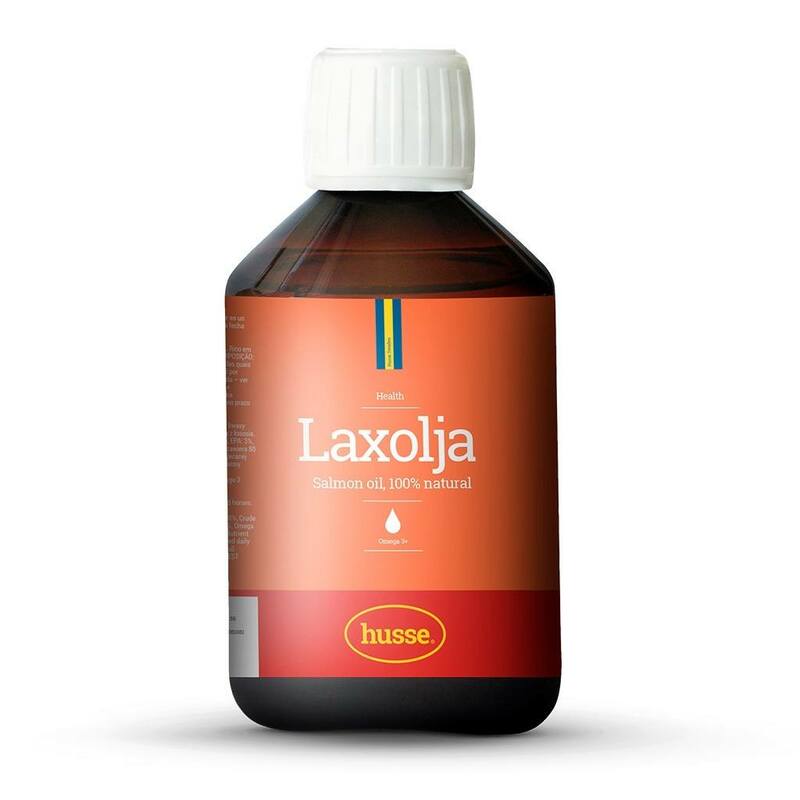 Husse Laxojla is a unique food supplement, rich in Omega-3 fatty acids which improves the quality of skin and fur. Laxojla is also a natural flavour enhancer and a perfect energy source that can be given to dogs with high energy needs and working dogs. All production is done on food quality raw material: meaning that the salmon is always kept in a continuous cold chain. The lead time from when the whole fish is cut, to finished high quality oil is less than 24 hours. Production is done under strict control and gives the salmon oil full traceability back to the farms. Preservatives are not used during the production or bottling of the salmon oil and there are no technical nor chemical cleaning processes that could affect product quality or function. The salmon oil is a chemical and additive free product. It only contains fresh salmon oil. Our unique access to high quality raw material and patented production method makes this possible. The production is based on “off cuts” raw material from salmon fillet production, the oil is extracted by a patented mild process. The result is pure salmon oil with a unique premium quality regarding composition, taste, and smell. Due to a high content of astaxanthin, the oil has an orange colour and has a very strong antioxidant activity. No fatty acid supplement can be better than the quality at production time. Chemical analysis shows that this oil composition and quality is the best possible and very stable over time. The smell is like fresh salmon, and the oil is very palatable. The oil quality is premium both for human and pet consumption. The pure oil is an excellent food supplement, and an optimal omega-3 ingredient. Because of the very high quality at best production time and the high content of natural antioxidants, the product is the most natural source for omega-3 fatty acids available. The three most important n-3 fatty acids are (EPA) Eicosapentaenoic acid, (DHA) Docosahexaenoic acid and (DPA) Docosapentaenoic acid. These fatty acids are of vital importance for optimal development, maintenance and function of a lot of tissues and organs, especially: cell membranes, the brain, the skin, skin coat, kidneys, blood vessel walls, immune system, precursor for hormones and signal substances, e.g. eicosanoids, eyes (retina). There are also a lot of different physiological and pathological conditions that increases the requirement of n-3 fatty acids in order to have an optimal modulation of the metabolism intake. For example: infections, trauma, wound healing, stress metabolism (a result of a lot of different conditions and diseases), postoperative stress, cancer, kidney disease (immune mediated glomerulonephritis), skin disease, allergy, immune diseases and stress, heart disease, blood diseases, age-related disease etc. Energy: 3750 kJ/890 kcal for 100g. 1 ml of salmon oil contains 220 mg EPA, DHA and DPA. Developed to support the nutritional need of older dogs of smaller breeds.